Why Start at 8th Grade? Welcome to the Christ School Admission website. Here you will be able to find resources to help you during your process: an application, timelines and processes, financial aid information, and more. I encourage you to study our website and admission materials, but more importantly, I encourage you to come and visit: Come for a campus tour, meet our teachers and students, eat in our dining hall, and watch a Greenies’ game. 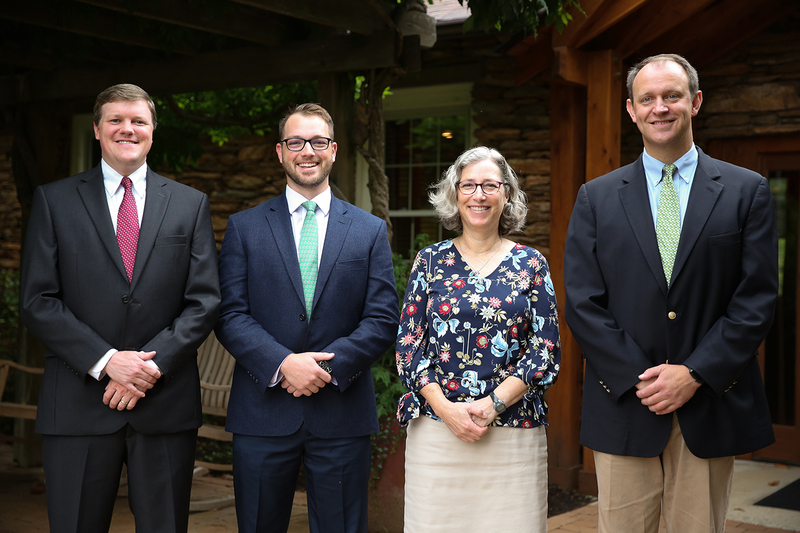 It is our dedicated faculty, diverse and vibrant student body, non-pretentious attitude, and focus on an all-boy private school education that allows Christ School to provide such a rich and fulfilling experience. We look forward to working with you and your family throughout the admission process. A year older, a year wiser? Christ School's Quiz Bowl team has every intention of proving this adage true at the Small School National Championship Tournament. Back in the 1980s when Richard Haake '87 was a Greenie, in addition to all the other festivities held during Alumni Weekend, he remembers a special tradition that took place throughout the night. Christ School Athletic Director Eric Thorp '01 announced Thursday the appointment of Matt Cioce '13 as Head Varsity Basketball Coach. Producing educated men of good character, prepared for both scholastic achievement in college and productive citizenship in adult society.